The species is widespread but locally distributed throughout Britain. It is widespread in western and central Europe. 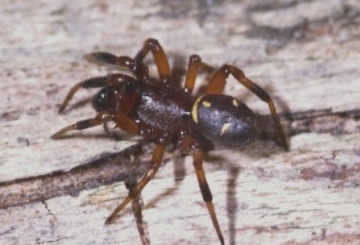 This spider is usually found at ground level or in low vegetation in dry grassland, heathland and on sand dunes. It is ant-like in appearance and is usually found with ants, sometimes even in their nests. It does not build a web but actively hunts ants, which it captures with little or no use of silk to immobilise them. Adult males have been recorded in the summer between May and September, females until October. Generally uncommon throughout its range.